A teacher, mentor, career counselor and industry advocate, Jim McLoughlin (below right) also was involved in the development of Huntsville Golf Club, a Rees Jones design in Dallas, Pennsylvania (above). Over the course of 50 years in the golf business, Jim McLoughlin brought innovation and education to the industry he loved. 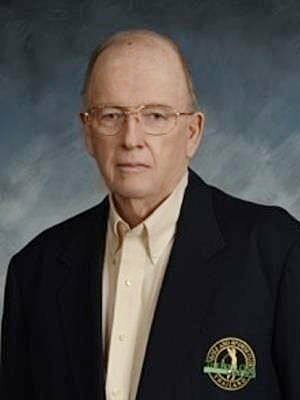 The former teacher, coach, golf industry consultant and executive director of the Metropolitan Golf Association, the GCSAA and the Met GCSA, McLoughlin died March 9 at his home in Carlsbad, California. He was 84. A native of New York City and a graduate of the Fordham University School of Law, McLoughlin was at times a controversial figure in the golf business and a true industry pioneer. "He told people how it was, and people don't like to hear that," said former Westchester Country Club superintendent Joe Alonzi, CGCS. "He didn't have a filter between his brain and his mouth, and I'm not saying that was a bad thing. Whatever he said, he said because he thought it would benefit the superintendent." McLoughlin was the Met Golf Association executive director from 1966-1980 and served in the same role for the GCSAA for the next four years. He helped the MGA become the first association to offer computerized handicapping and he was instrumental in developing what is today the USGA handicap system. Jim was brilliant, highly educated and surely persistent — an uncommon man who could be an unwavering friend or a tenacious foe. During his tenure with the GCSAA, the association made changes to the education and certification program that remain in place today. A frequent speaker and educator on career-development issues and an industry in decline (for two years he wrote a column for TurfNet that covered both topics), McLoughlin was not afraid to rattle some cages to try to get others to see the future of the industry from his vantage point. His approach built a solid foundation of allies and adversaries alike, said Jim Prusa, a golf course developer who nearly a decade ago left the sagging U.S. golf market for a job overseas with SKY72 Golf Resorts in Korea. "I knew Jim McLoughlin at a time in golf administration when powerful dynamics were precipitating tumultuous change," Prusa said. "Jim was brilliant, highly educated and surely persistent — an uncommon man who could be an unwavering friend or a tenacious foe. He had many diverse interests with a vision that too few in golf could comprehend. Jim wrestled to try to get those in organizational leadership positions in golf to see what he saw as the future." As dedicated as he was to improving the industry he loved, McLoughlin was equally committed to helping others. During his tenure with the MGA he recognized that superintendents were the golf industry's real driving force, and he helped many in turf maximize their career potential. When Alonzi was interviewing for the Westchester job in 1992, a position he held for 23 years, he went to McLoughlin for help. "I asked him to look over my resume, and he made some comments, positive and negative. He agreed to clean it up and we also went over possible questions you might get in an interview," Alonzi said. "He told me how to express myself and even put some words in my mouth, to be honest. He is the reason I got the Westchester job." Scott Schukraft, a former superintendent and the owner of Elite Sports Turf and Landscape Management in Dallas, Pennsylvania, also credits McLoughlin for much of his success as a superintendent, general manager and business owner. 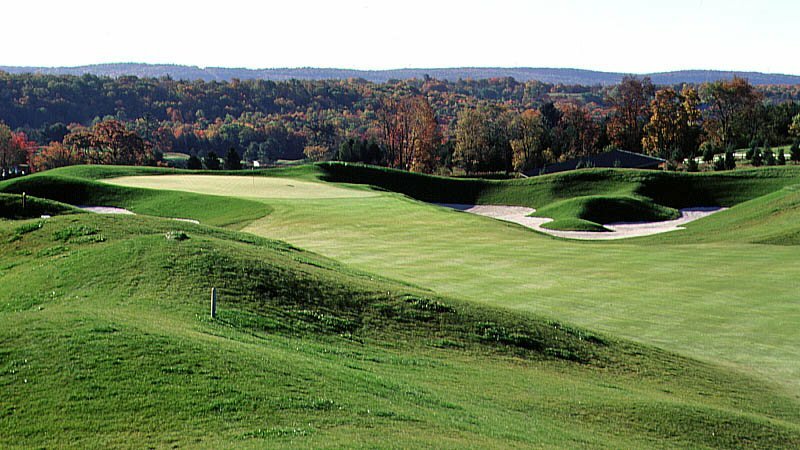 McLoughlin was involved in the development of Huntsville Golf Club, a Rees Jones design that opened in 1992 in Pennsylvania, and it was then that he helped Schukraft prepare for the role of construction superintendent. When things don't go your way he told you sometimes you have to step back and look in the mirror and ask yourself what you have to do to get better and get to the next level. I never took what he said as criticism, I took it constructively. "I didn't have any real construction experience, but he ushered me through the whole process soup to nuts," said Schukraft, who stayed at Huntsville for 20 years, including 13 as general manager until he started his own business. "He gave me the confidence to transition from superintendent to general manager. He was there every step of the way. When I left there, the first guy I called was Jim, and he told me 'Scott, your best days are ahead of you.' He was right. He encouraged me to start my own business." McLoughlin's upfront personality and mentoring style was not for everyone, Schukraft said. "When things don't go your way he told you sometimes you have to step back and look in the mirror and ask yourself what you have to do to get better and get to the next level," Schukraft said. "I never took what he said as criticism, I took it constructively. "He knew what he was talking about. I have nothing but respect for him. He helped me enormously throughout my career." During his MGA days, McLoughlin hired a communications director named David Fay, who later went on to become the longtime director of the USGA. "Jim McLoughlin was a cutting-edge golf administrator and leader, known for his keen, innovative thinking," Fay said in a MGA release. "He was — truly — a pioneer in developing the modern state/regional golf-association model, offering numerous services and programs to all golfers, not just the tournament-caliber players." Survivors include wife Mary Ellen and their children, Laura (Herb) Cunitz, Jim (Stacey) McLoughlin, Ken (Karen) McLoughlin, and several grandchildren.